Oversaw JDC operations in wartime Vilna with both refugees and the local Jewish population. His initials are penned in a corner of nearly every document filed in JDC’s Paris headquarters in the early 1950s. 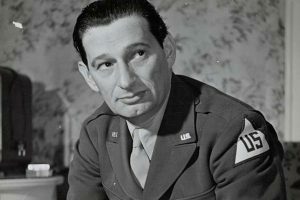 Moe, as he was affectionately called by friends and JDC executives, was Director of JDC Overseas Operations from 1951-1955. He signed on with “the Joint” in 1939 and was assigned to Kovno, Lithuania (formerly Poland). In 1939 when Russia seized the city of Vilna from Poland, and turned it over to Lithuania, Beckelman was sent to Vilna to oversee JDC operations with both refugees and the local Jewish population. 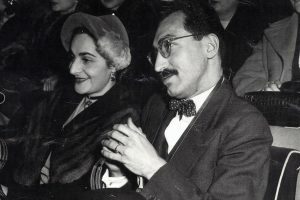 Beckelman sought first-hand knowledge of the hardships JDC was trying to alleviate, and interviewed stranded Jewish refugees to better understand their plight. At least 25,000 Jewish refugees arrived in Vilna between October 1939 and May 1941. One-third of the refugees were completely dependent on relief from JDC and others for their basic needs. JDC allocated $575,000 for refugee relief in Lithuania during this period. JDC also provided assistance to the 60,000 Jewish residents of Vilna, before the Nazi troops seized the city in June 1941. 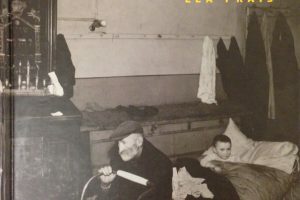 With experience as a New York social worker during the Depression, Beckelman came to Vilna with the skills necessary to deal with an influx of refugees. Beckelman’s accounting degree from City College of New York provided him with the financial background to handle the business side of the major aid effort. 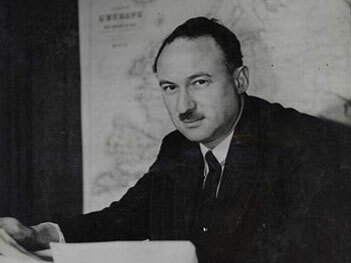 Beckelman supervised JDC’s funding of transportation for thousands of refugees with visas for other countries, including 3,500 people with visas issued by Japan’s Consul in Kovno, Chinue Sugihara. JDC also funded food programs, housing, medical care, vocational training, special programs for children and elderly people, cultural and educational activities and the distribution of clothing. As Director of Overseas Operations, Beckelman later oversaw the development of MALBEN, the social services network for ill and elderly immigrants in Israel; the growth of JDC services in Iran and North Africa, and was involved with the Paul Baerwald School of Social Work established by JDC in Versailles, France. Beckelman died suddenly in 1955, at the age of 49, and was survived by a wife and young daughter.